Can Friendship Survive betrayal on Hannibal? The first episode of the season was all about what Hannibal and Bedelia were up to. The second episode let us see the fate of Will Graham after last seasons bloody finale. It starts with a replay of the final moments when Hannibal cut open Will’s stomach and Abigail Hobbs’ throat. Then we are in the hospital because well yeah of course Will was going to survive. 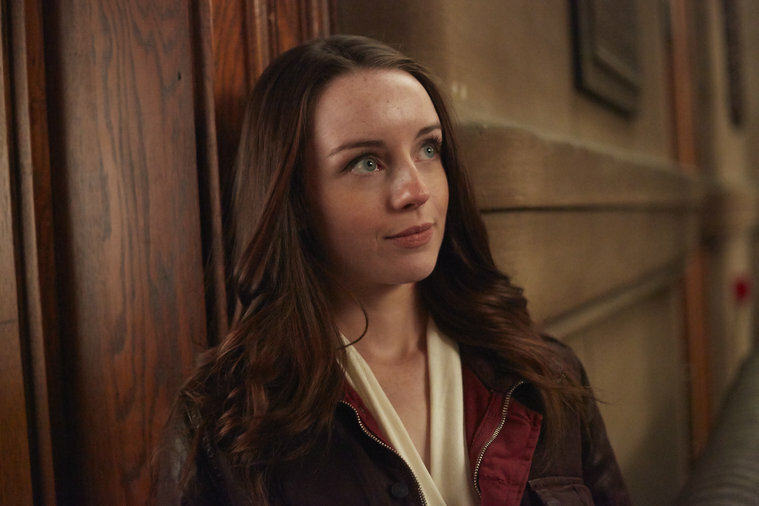 And then Abigail comes to see Will apparently having also survived and still strangely feeling loyal to Hannibal. This should have been my first clue that something was off about her. Then cut to 8 months later and we see Will and Abigail in Italy together looking for Hannibal. They are at a church checking out locations that would have meaning to Hannibal and having conversations about God. And then it turns into a crime scene. That guy Hannibal killed last episode, he didn’t just mutilate the body, he twisted it into the shape of a giant heart. Will is asked to come into the police station where he meets Chief Inspector Rinaldo Pazzi. Pazzi believes that this murder is the work of Il Mostro, a serial killer he tracked 20 years ago. His prime suspect back then was a young Hannibal Lecter but he could never prove it. Now Pazzi thinks that Will Graham may be the key to finally catching Il Mostro so he lets him spend some time at the crime scene and look at the police file. Will goes into one of his criminal profiler meditations and that’s when things get really messed up. This show has managed to get away with a lot of disturbing gory imagery but last night was definitely one of the most creepy. Will has a vision of the fleshy heart sculpture unraveling itself and growing hooves and antlers. It begins walking towards Will who seems helpless to stop it until Abigail arrives to wake him up. Or does she? Will and Abigail sit there talking about what might have been if they had chosen to go with Hannibal and it leads to a revelation I began to suspect halfway through the episode. Abigail is not really there, Will is just imagining her in his mind. In fact if turns out Abigail died the night Hannibal escaped and ever since then Will has been conjuring this imaginary version of her to deal with his trauma. But now that he has a lead on Hannibal it seems Will is finally ready to let Abigail go. 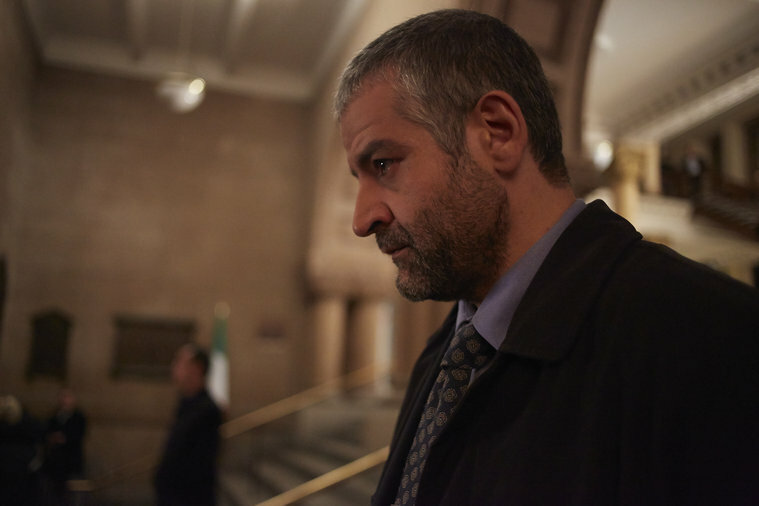 Pazzi shows up again hoping that Will can lead him to Hannibal. Will believes Hannibal is still there and sure enough Hannibal is still there watching from a distance. 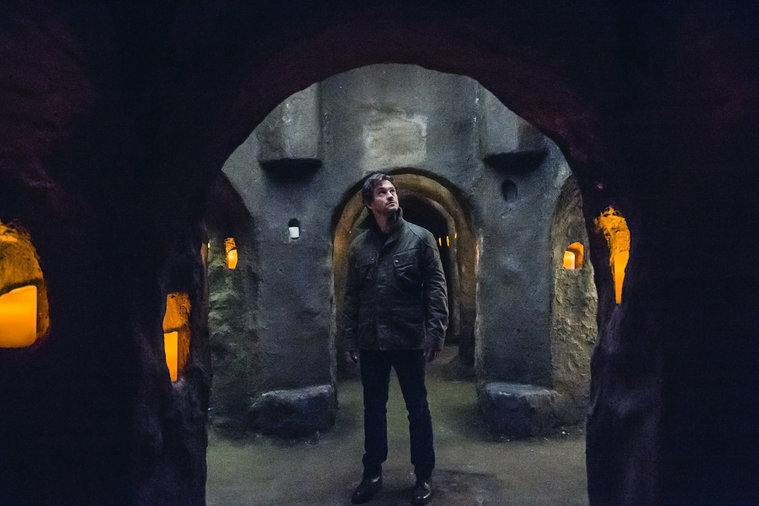 Will and Pazzi go into the catacombs under the church where Hannibal is lurking. They don’t find anything but Hannibal is there hidden very close. Will professes that he forgives Hannibal into the darkness. Hannibal also said he forgave Will once, just before he killed Abigail. So now the question is how genuine are their claims of forgiveness? Hannibal and Will’s friendship went to some intimate and disturbing places and they both betrayed that friendship. Will may be ready to let go of Abigail’s ghost but can either of them really let go of the hurt they caused each other and how many people will have to pay for it in the process.